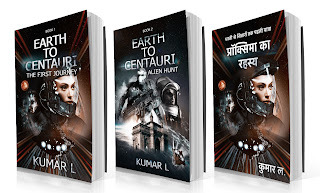 I am delighted to welcome fellow author Kumar L to Bookaholic blog today. Buckle up Bookaholics because you're in for the ride of your life. Find out about the science behind the book and how fact and fiction are woven together to bring a cracking series to fruition. Breaking a bit from traditional dystopian Science Fiction this book takes a realistic look at how first contact may happen. A signal is finally received and decoded. Building a ship capable of travelling faster than light takes years with gl oval efforts. But finally a task force led by Captain Anara embark on the long journey to Alpha Centauri which is expected to take many months. Thank you Kumar. It's been a pleasure having you on the blog. Kumar is an engineer by education and passionate about manufacturing. He has spent decades in a full time corporate role. He is a tech enthusiast and social media newbie. He loves travelling and is fluent in 7 languages. 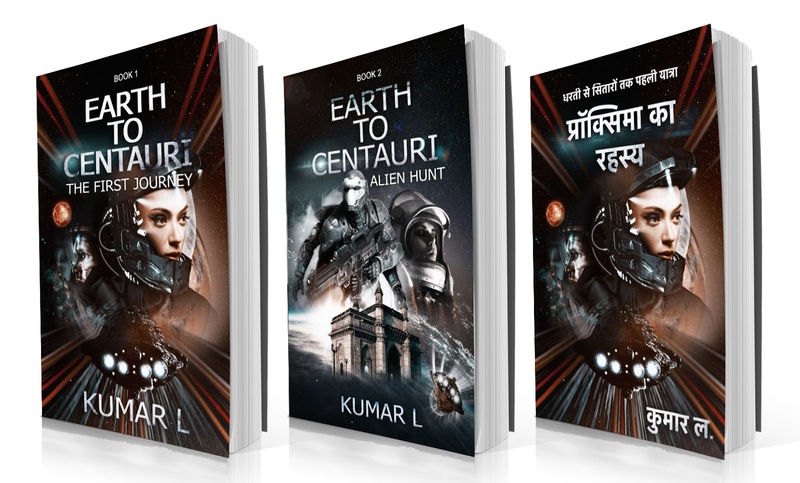 With a utopian outlook on the future and a desire to make science fiction a bit more realistic, he has brought out his first book ‘Earth to Centauri’. Surprisingly, his books on science fiction are simple and easy to read & understand for a wide range of age groups. They are based on themes of adventure, thrill and drama with a positive outlook at what the future may hold for humanity. He is currently working on the second book of the series 7 and translation of his first book has just been released. He can be reached on Twitter @Captain_Anara, www.facebook.com/AntarikshAnara or Instagram at KumarLAuthor.